Catalina Maria Johnson » Tasty, sabroso to the max! 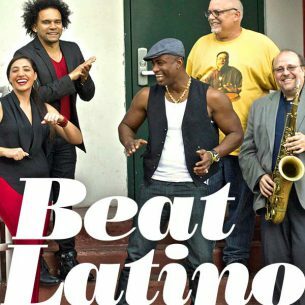 This week’s Beat Latino is designed to make you drool (musically, that is!) It’s a selection of tasty, super sabroso songs that are full of flavor-y, savory tunes! From Chicago to Miami to Bogotá to La Habana, this week’s music is a feast for the ears. Enjoy! Feature photo: Palo, courtesy of the artist.